Earthstock yesterday at Tunxis Community College was a fun festival. 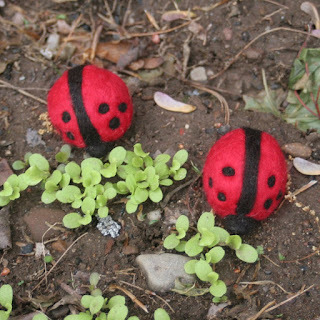 Lots of environmental booths, good entertainment, nice people to meet...the weather was good, and I even had time to do some felting outdoors, which I enjoy. 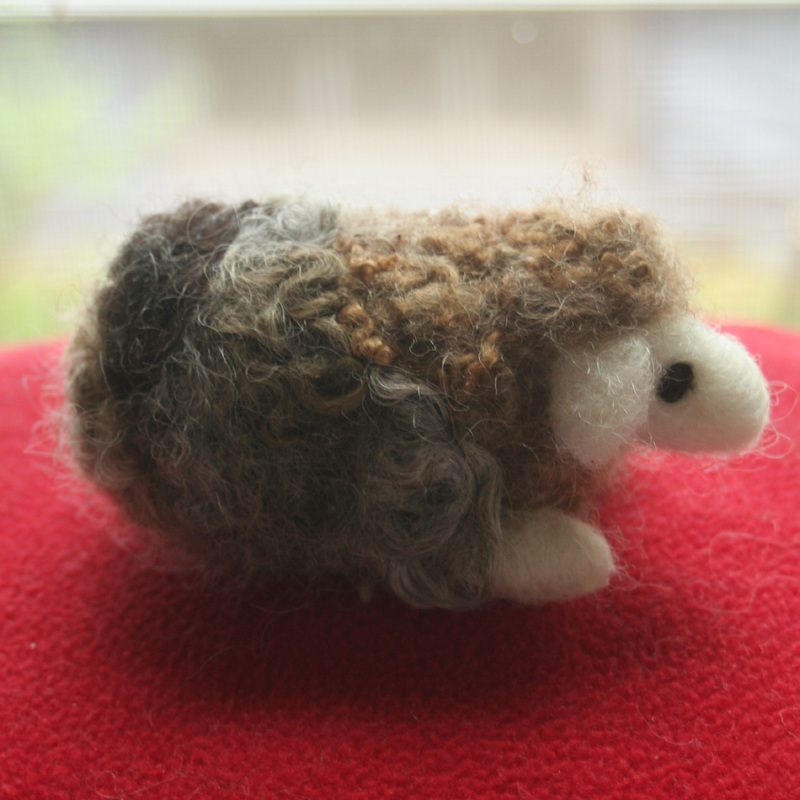 Mr. Mottled Sheep was one who got finished. I made "ghosts" (which is what my husband calls the white forms of my critters before they get their colored feathers or fur or what have you) of chippies and ladybugs, too. and the lettuce has sprouted. 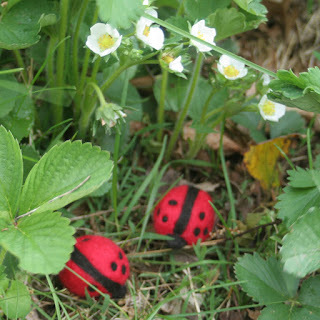 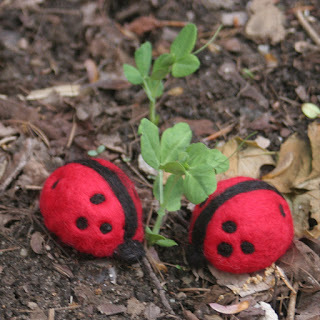 I haven't seen any real ladybugs out there yet!